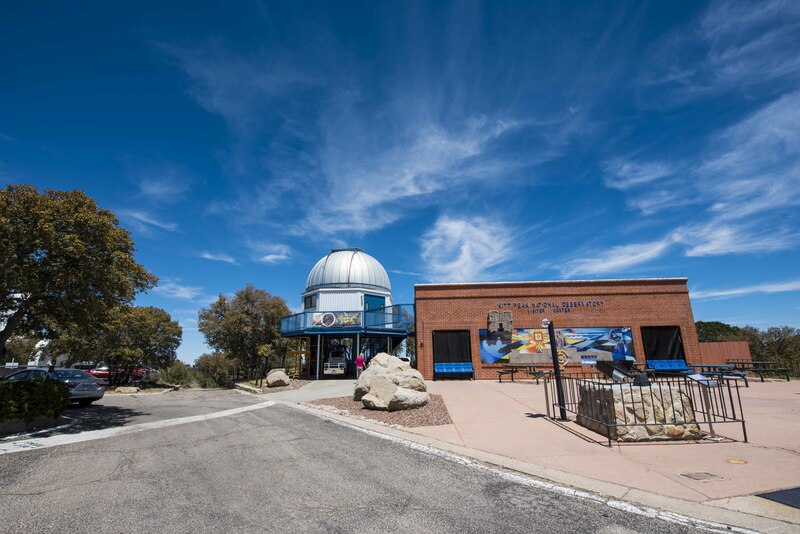 This weekend the kids and I visited Kitt Peak National Observatory (NOAO), located at the top of route 386 on the Tohono O’odham Nation, 56 miles outside of Tucson, AZ. 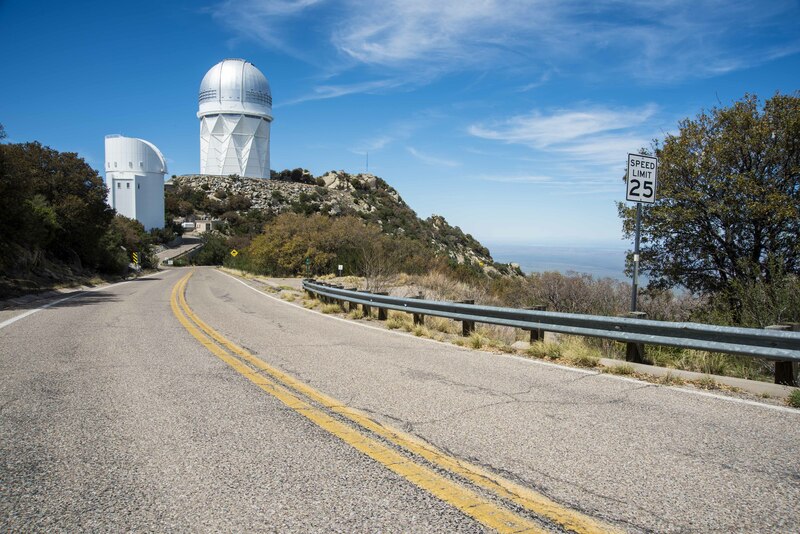 Kitt Peak is home to one of the largest arrays of radio and optical telescopes in the world. 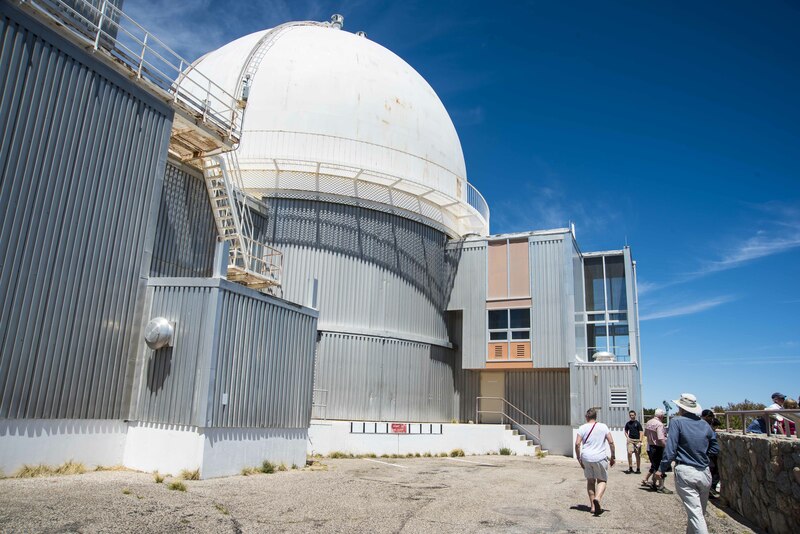 I signed us up for the three daytime tours: the McMath-Pierce Solar Telescope Tour (10-11am), the 2.1 meter telescope (11:30-12:30pm), and 4-meter Mayall telescope (1:30-2:30pm). 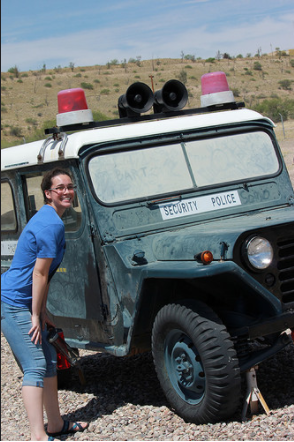 All three docent-led tours cost $13 per person, a steal in my opinion. Here are a few more images from the McMath Pierce Solar Telescope. In the first picture Gigi, our docent, explained that this is the control panel astronomers use for the telescope. 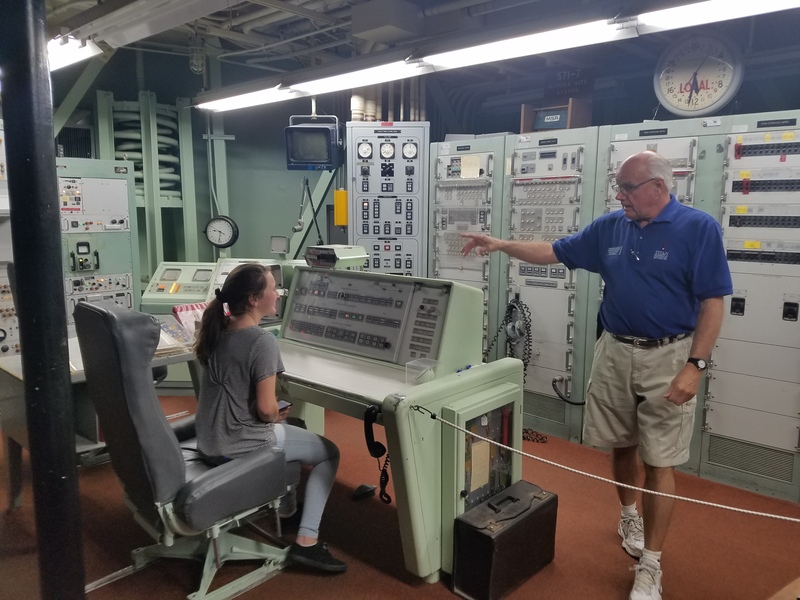 Interestingly, it is made by the same company and in the same era as they control panels at the Titan II Missile Museum! 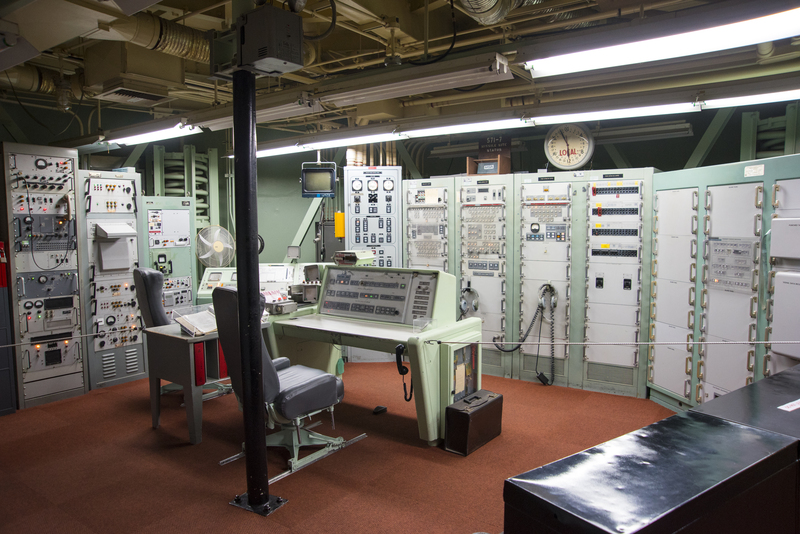 The second image is also in the control room, where the image the telescope collects comes through a hole in the ceiling and onto an image processing station. Way cool! 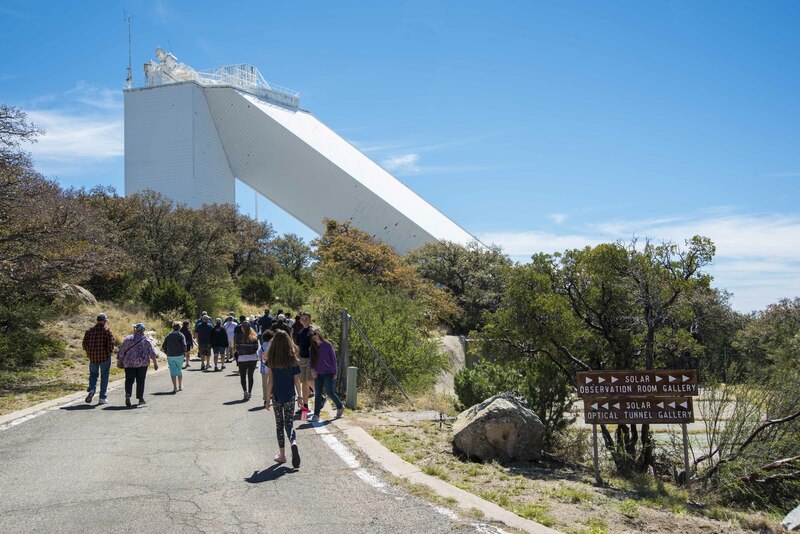 The 2.1 meter telescope was the first major solar telescope on Kitt Peak, seeing its first light in 1964. According to NOAO, “numerous important discoveries were made at the 2.1-meter. It first detected very distant clouds of hydrogen gas between galaxies, known as the Lyman-alpha forest. It observed the first example of gravitational lensing (as predicted by Einstein) and the first pulsating white dwarf star. Research into the rotation rate of spiral galaxies that began at the 2.1-meter eventually led to our current understanding of the existence of dark matter in the Universe.” I took this black and white image while we were inside the viewing area of the actual telescope. I had no idea this is what they actually look like. 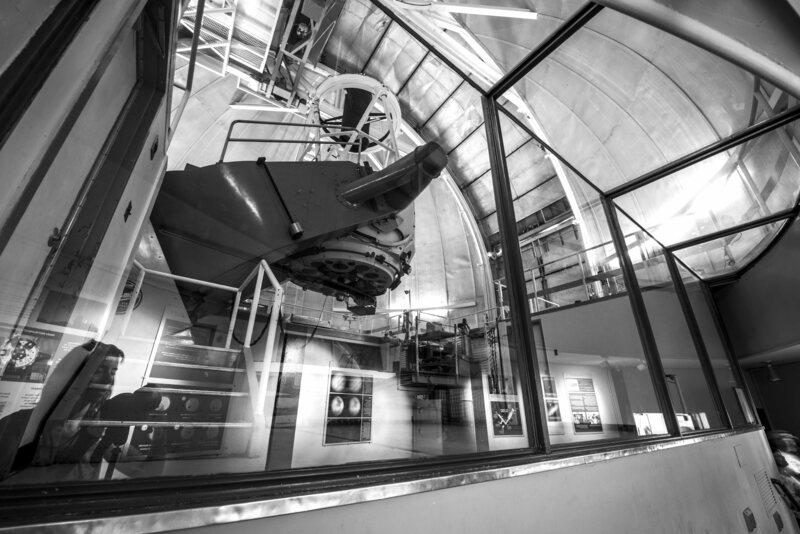 The 4-meter Mayall telescope is the largest telescope on Kitt Peak weighting just shy of 300 tons. Seeing its first light in 1973, it is “one of the most scientifically productive telescopes in the world. …For over 40 years the Mayall has been involved in cutting-edge astronomical research, most notably in understanding the size and large-scale structure of the visible universe. 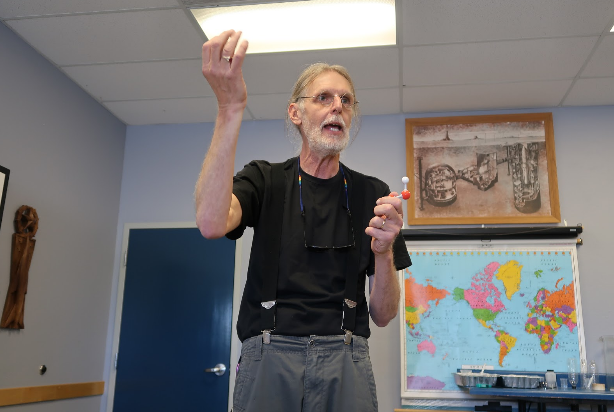 It has also been used in research on exoplanets (planets that orbit stars other than the Sun).” Currently, astronomers on Kitt Peak are retrofitting the Mayall with DESI, an acronym for a unique spectrometer which will allow the telescope to quickly obtain the spectra of 5,000 objects simultaneously. Here are more images from this gigantic telescope. 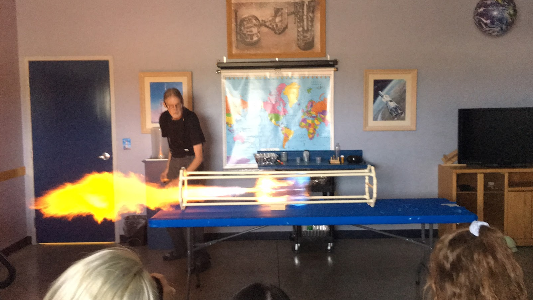 The first two images are from inside the viewing area of the actual telescope. The last three are from inside and outside the environment viewing area of the telescope. From here you get a bird’s-eye view of surrounding landscape of the Tohono O’odham Reservation. 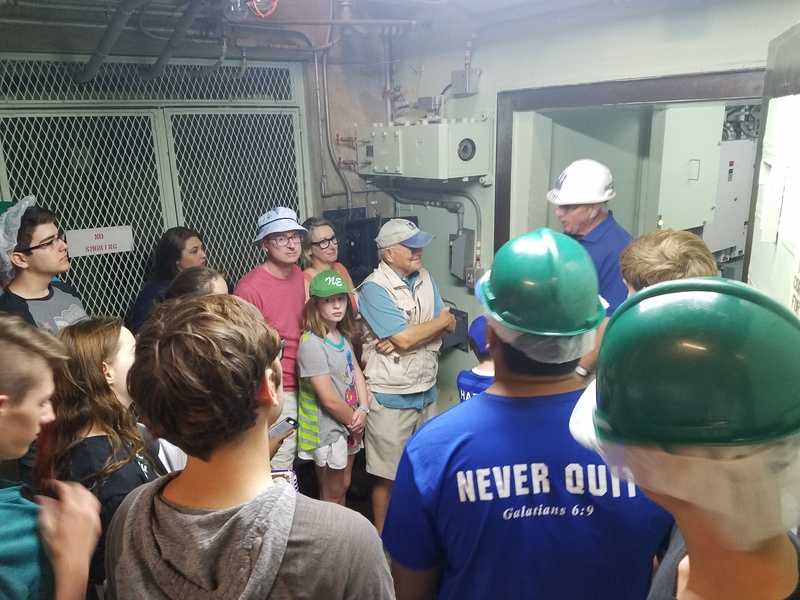 A lot of the tour went over my kids’ heads, but for me, the knowledge I gained about the field of astronomy blew my mind. 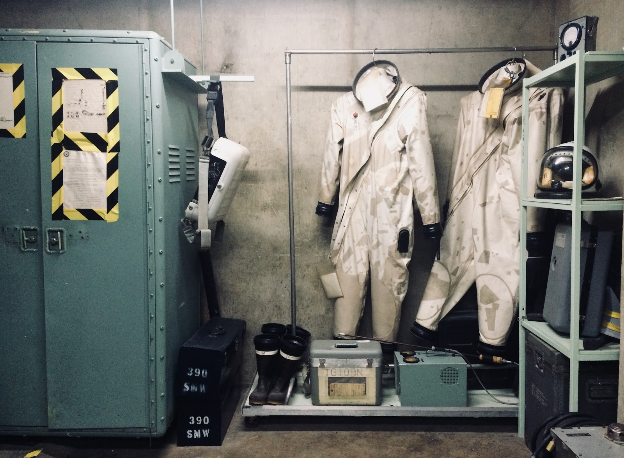 Of course, I was particularly interested in the history behind it all (for example, the observatory was built in the fifties in response to the space race and the Cold War) but the details behind the science used here took my breath away. Highly recommend! Recognize any of the signatures on this attendance log?